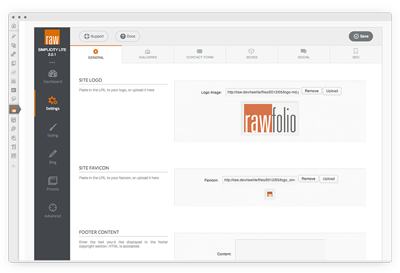 Rawfolio WordPress themes are all built specifically with Photographers and Creative Professionals in mind. Each theme is crafted with care to ensure your work looks great on every device. 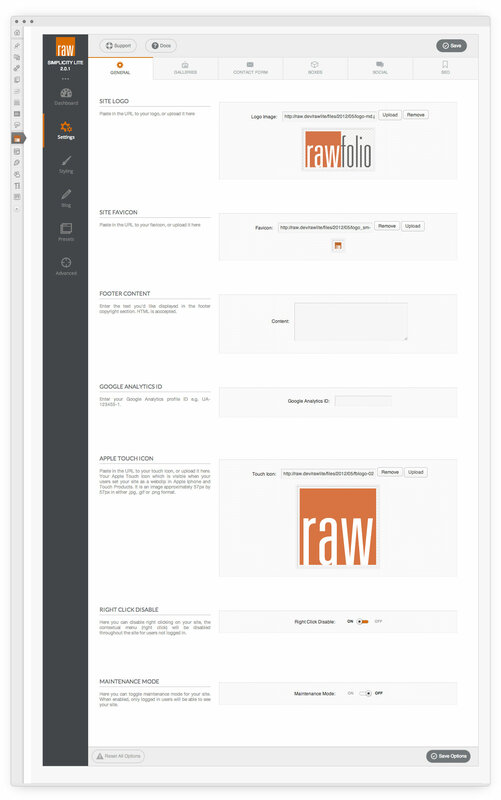 Getting a site to have the look you're after with one of our themes couldn't be simpler. Say goodbye to the need for multiple social media plugins. 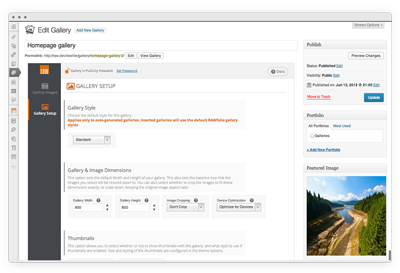 Our themes come with many social media sharing options, including Facebook comments, Pin-it buttons for blog images, as well as the standard like and share buttons. 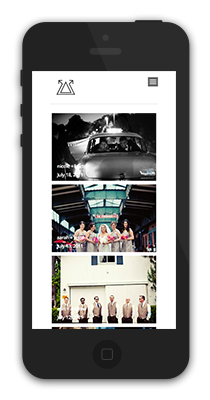 Our themes are optimized for multiple screen sizes to ensure your content is visible and looks great on any device or platform. 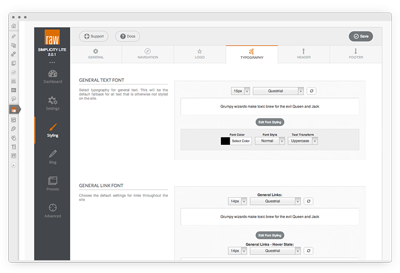 Our themes come with extensive and easy to use customization options that allow you to personalize fonts, colors, and layouts to create the custom look you want. 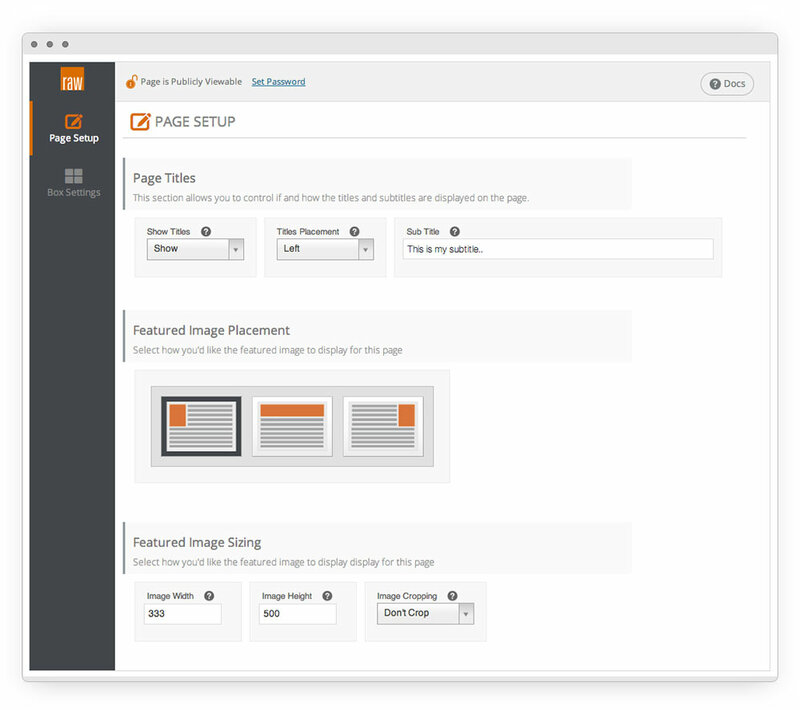 The simple and intuitive functionality of our custom administration options allows you to quickly and easily begin customizing your site. Whether it’s adjusting the header, footer or selecting colors and fonts, all options and settings are grouped for ease of access and recognition to make tweaking your site's design a breeze. The built in color pickers allow for an almost unlimited color pallette and make it easy to create a unique and tailored look. And to top that off, you have access to the entire Google Font Library and it's 650+ fonts at your fingertips. Customer support and satisfaction is top priority! We offer highly detailed documentation, video tutorials and FAQs to get you up and running with your website fast. If you can’t find what you’re looking for in our Support Portal, just send us an email and we'll get you taken care of! 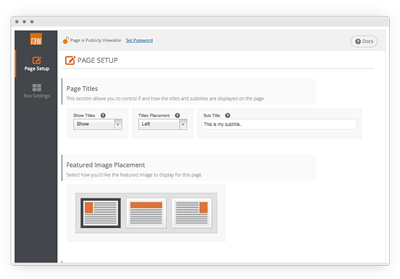 All of our themes come with built in SEO enhancements to help your site rank better with the search engines. 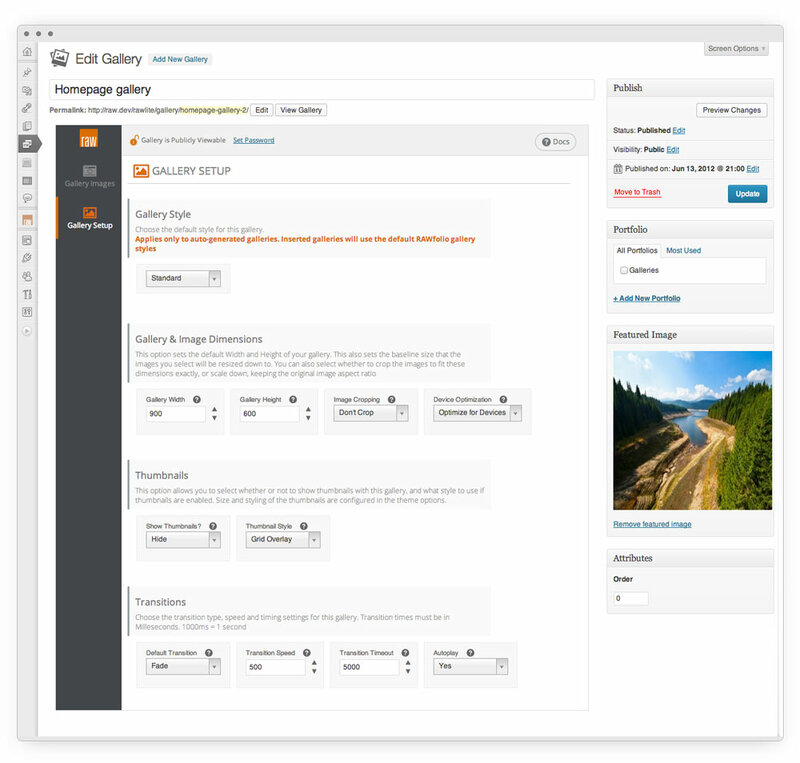 Our themes take advantage of the world's most popular content management system: WordPress. This means you not only have a great looking site, you also have access to the over 16,000 plugins available, as well as the entire WordPress community. go ahead and take it for a spin. We want you to be confident that our themes and sites are a good fit, so we're giving you your own temporary demo site to test drive all of our themes. Just click the button below to get started!